First, let me think of whom I can blame... Our Christian upbringing? Our big hearts? Our unselfish mothers who somehow managed to pass that gene on? Set up Bee Hive with a Carneolean Queen (less aggressive) - they are supposed to arrive in April. And here is what happened: I volunteered to help at Aurelia's Preschool. I volunteered not only MY TIME but also ROBERTO'S TIME (yes, you may say I am a generous person), thinking we would be done in one hour. 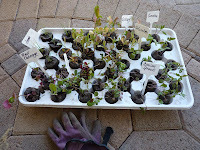 Just putting some veggies (I donated an assortment of our hundreds of seedlings) in the soil. ﻿ Needless to say: We spend an ENTIRE day at the school. 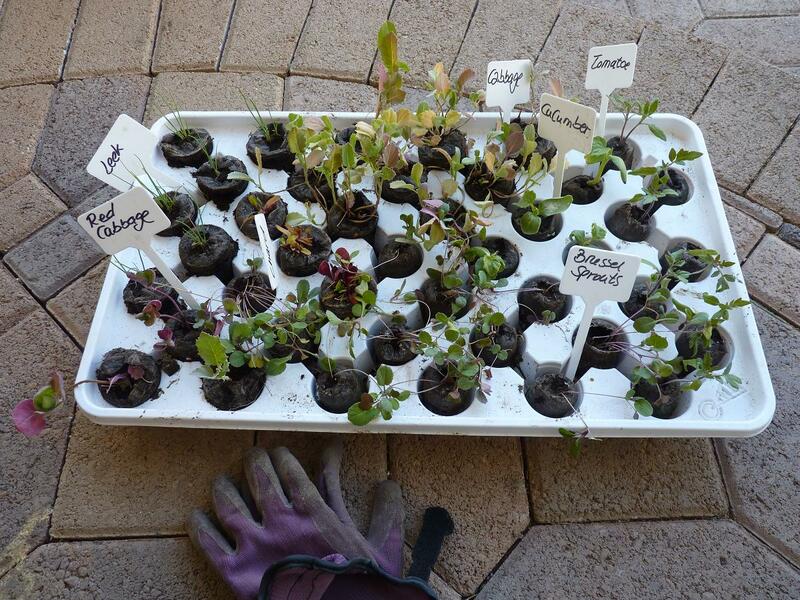 Against the original plan, we decided to just prepare the raised beds but let the kiddies plant the seedlings. More fun, more educational, BETTER OVERALL! Since the school has two flying chickens, I somehow also volunteered to clip their wings, so they won't fly into the raised beds. Great, now I am committing to things that I have never even done before. Well, I can explain: I need to clip our hens' wings anyways, so I can practise on the school's hens. Problem is, the school hens are not used to being held, let alone having a mani/pedi... Thank goodness, it only needs to be done once a year and Iam planning on next weekend. So, I got one whole week to learn how to do it. and Ms Healthy had Kraft Mac & Cheese for the first time in her life (not as bad as I thought). That sure makes up for it! Besides my unchecked boxes on our To Do List and some minor back pain, I am super glad we did it! TJ's mac & cheese healthier, tastier and maybe cheaper. I expected nothing less of u. From experience, knew you'd be there all day! 2 of my chicks have graduated, Bianca May 6! Was it that long ago we sat bean counting at the dining rm. table?!!! Watch out, turn around and Aurelia will be driving!!! Mac & Cheese was sponsored and we were hungry. TIME DOES FLY, EH?! Your gals are totally grown now. Congrats to the grads!! !